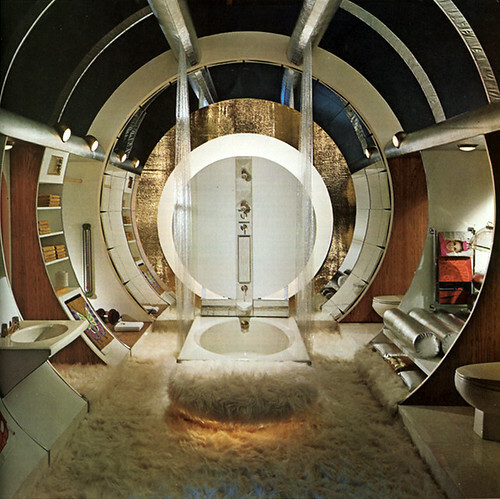 Bathroom futurism! Excellent circular spaceship thing going on here. I’m not sure about shag rugs in the bathroom, but will boldly go where no one has gone before. Still, how on earth would you clean this room? The answer is that in space, flokatis are self-cleaning. With microbots or whatever those things in the Neil Stephenson trilogy are called.